We have worked hard the past six months to add the most vital debugging features to RootCause. The unique set of capabilities will help you monitor, reproduce and fix bugs in your web applications with very little effort. In case you missed our recent blog posts, below you will see a summary of these features. The Hobbyist plan will feature our basic error monitoring with screenshot and video recording. The Startup plan adds the Feedback button and Live Replay features as well as Premium forum support. The Business plan allows for more applications and team members and also add our Integrations (Jira + Slack, more to come). Our Enterprise plan is for big teams with many applications who need full control over their web application monitoring. This plan includes longer data retention, email support plus all features of the other plans. 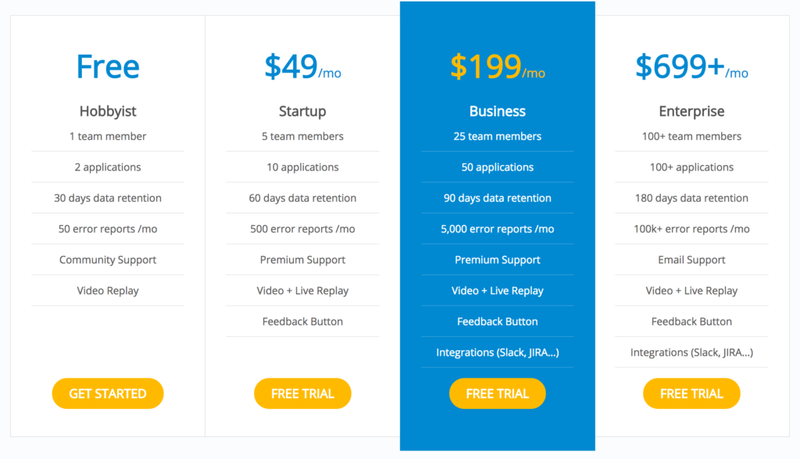 Prices remain unchanged, and you can see the updated subscription plans on our pricing page. The changes we have made will take effect September 18th. 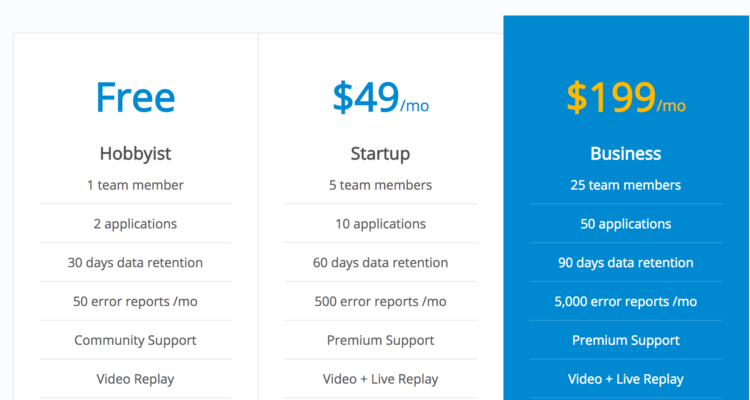 After this, if you’re on the Hobbyist plan and want to keep using the Feedback button and Live Replay features you need to upgrade to one of our paid plans. If you have any questions about these changes or what is included in the plans, don’t hesitate to contact us.